We will indulge in a playful match of tennis as we enjoy the sunlight in our spare time. Help us discover our tennis skills as we enjoy the fresh outdoors. As a way for us to further explore our surroundings and get in touch with the great outdoors, we will rent a beach cruiser or mountain trek bike to ride along the sand. This newly renovated King Suite features a luxurious bedroom, spacious living area, plus a private balcony with views of the Atlantic Ocean and Splash! Waterpark. Our spacious suite offers a modern but soothing décor, providing a tranquil setting with all of the comforts of home. The ocean view bedroom is well appointed with beautiful 250-thread count linens and a 32-inch LCD television. The oversized living area features a queen-sized sofa bed, armchair, and a 32-inch LCD television. The suite is also equipped with a desk and ergonomic chair, dining table with upholstered chairs, plus a wet bar with a mini-refrigerator, microwave, and coffeemaker. Other amenities include a hair-dryer, bath amenities, iron and ironing board, and an in room safe. We will also take advantage of the complimentary full breakfast and Evening Reception. We will also have access to WiFi for a nominal fee. We cannot wait to make ourselves at home in this ocean view suite. This large, private bedroom and oceanfront balcony will make our stay a little more special on our romantic getaway. In addition to breathtaking ocean views, this oversized suite includes a separate living area with a queen-sized sofa bed, dining table with upholstered chairs, and a 32-inch LCD television. The suite is also equipped with a desk and ergonomic chair, plus a wet bar with a mini-refrigerator, microwave, and coffeemaker. 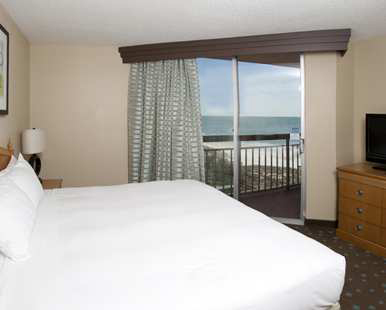 The luxurious oceanfront bedroom is well appointed with beautiful 250-thread count linens and a 32-inch LCD television. Other amenities include a hair dryer, bath amenities, iron and ironing board, and an in room safe. If we so choose, we will find ourselves at the complimentary full breakfast or Evening Reception. For a nominal fee, we will enjoy convenient WiFi in the comfort of our amazing suite. We will enjoy dining in the comfort of our luxurious suite with convenient 11am-11pm room service. We will enjoy breakfast, lunch or dinner in the privacy of our own private space. We may even indulge in a late night dessert or plan a romantic night in with a delicious bottle of wine. After a romantic day in the sun, we will settle in at the Coastal Grill for some delicious American fare while we enjoy each other’s company and gaze out into the sparkling ocean views. This casual dining experience will be just what we need. The newly expanded café bar with an extended menu offers grab-and-go sandwiches, milk shakes and pre-made salads. For a morning pick-me-up, Intermission proudly serves Starbucks coffee. Located in the lobby of the Embassy Suites Myrtle Beach, Intermission will be the convenient answer to a busy schedule or simply a craving for delicious hot coffee. At this oceanview lounge, we will treat ourselves to a relaxing night out with a round of drinks just the two of us or with a group of friends. Open until 11:00 pm, we will take advantage of the magnificent views right on the water. We will enjoy poolside dining at the Splash Café. The Splash Café will present us with delicious specialty cocktails, appetizers, salads and sandwiches. After a long day in the sun, we will walk over to Splash Café and relax. At this oceanfront gem, Vintage Twelve restaurant, we will experience a taste of exquisite low country, Myrtle Beach, cuisine served in a stylish, sophisticated setting. Vintage Twelve is partnered with local farmers to bring the best local and regionally produced ingredients with the delicious dishes ranging from, small plated Tuna Tartare to the traditional favorite Entrees including, Shrimp and Grits, all natural steaks and more. An extensive wine selection is available to pair with our meal for the ultimate dining experience. We will linger at the bar after our meal for unique and delicious drinks. Thanks to your wonderful wedding gift, we will relax into the ideal romantic honeymoon destination of South Carolina! We will admire the serene views of the Atlantic Ocean, offering an idyllic destination for a truly unforgettable trip! We will utterly enjoy the nine swimming pools, indulge in the Royale Day Spa and the seasonal poolside Splash Café. We can even take advantage of the 70,000 sq. ft. Conference Center or possibly take a tennis class at the 50,000 sq. ft. Sport and Health Club. 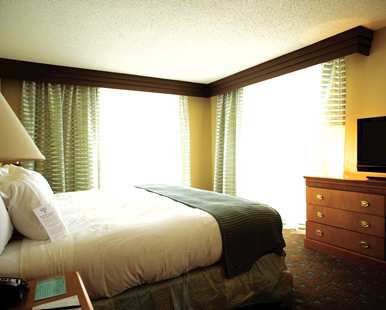 A wide selection of room types awaits us at Embassy Suites Myrtle Beach. This resort credit will truly enhance our intimate escape surrounded by unforgettable views. 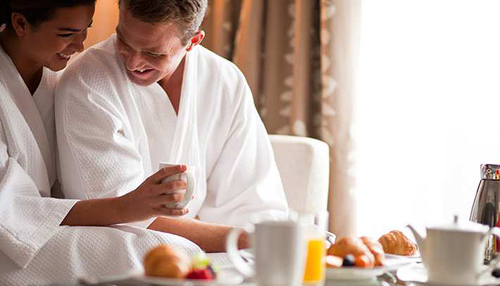 Located in the warm and beautiful southern coast, Embassy Suites Myrtle Beach promises us a romantic honeymoon getaway! With your thoughtful gift, we will enjoy countless activities, take comfort in luxurious accommodations, receive a relaxing spa treatment, or we will savor unique cuisine in a lavish setting or enjoy a round of drinks. 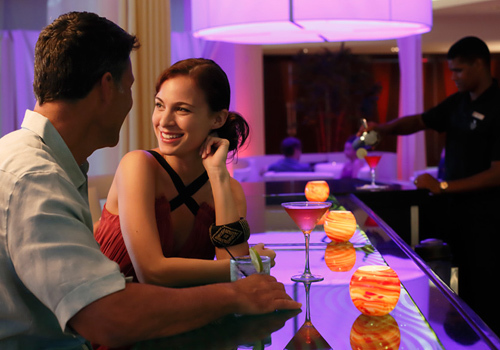 We will luxuriate in an array of pampering amenities at the beautifully designed Embassy Suites Myrtle Beach. A chilled bottle of champagne will be delivered to our suite. We will make a toast to our romantic honeymoon while taking in the sweeping views of the one-of-a-kind surroundings. How romantic! A bottle of our favorite wine will be delivered to our room or suite. 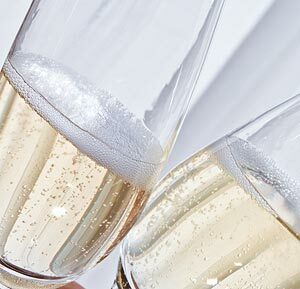 We will make a toast to our honeymoon while taking in the enchanted views of Myrtle Beach and stunning vistas. We will discover romance at its best! As a way to further relax on such a romantic getaway, an overall body massage is the perfect remedy to de-stress and clear the mind of all worry. This therapeutic massage focuses on deep muscle and connective tissue. 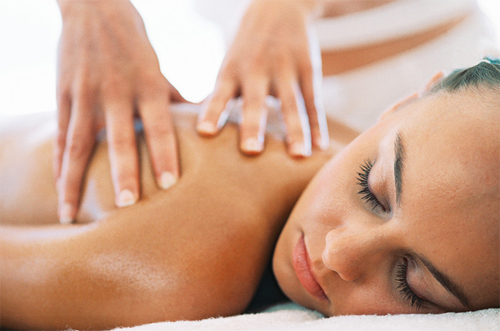 This massage is customized to the body’s needs using various therapies such as trigger point, friction and stretching. 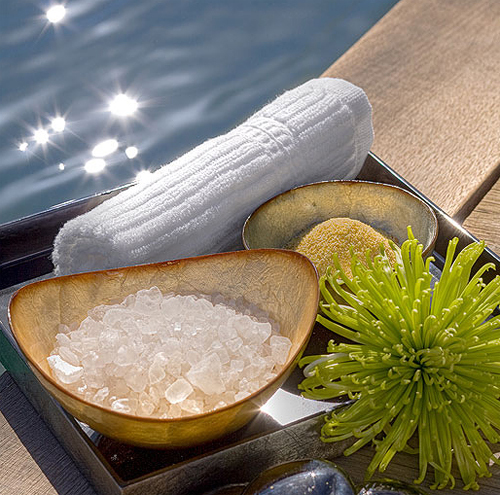 This treatment alleviates chronic tension and assists the body in releasing toxins. For all three massages combined, Swedish, Deep Tissue, and Stone, the Royal massage provides a unique combination treatment in order to ensure that the body is completely satisfied and relaxed. I will treat myself to a truly luxurious exfoliation. This advanced skin rejuvenation program offers 4 simple steps to beautiful skin at any age. Using Nano technology, formulas are infused with real gold, amber and platinum to emit negative ions that penetrate deep within the skin and help restore balance. 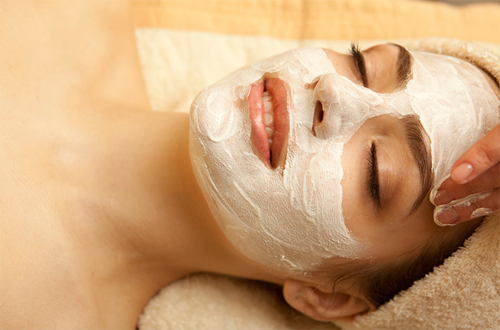 This facial incudes a warm, soy mask on my hands, too! Customized brown sugar body scrubs are designed to gently exfoliate dry skin cells leaving my skin refreshed and glowing. Warm towels are used to remove product so there is no need to shower afterwards. With all the wear and tear that my nails will endure in the sun and sand on this romantic getaway, a manicure will surely be needed. The feet are the hardest working part of the body, so why not treat them the best? A pedicure will nourish and rejuvenate my feet after a long day of exploring the area.